John D. Rockefeller once said “A friendship founded on business is better than a business founded on friendship.” I could probably find a few dozen more quotes that higlight the fact that connecting with people around you is a sure fire way to increase your success in business. But I'd rather show you a way beyond traditional "networking" and tell you about how I discovered the one question that changed how I do networking. Superficial "connections" get you nowhere – friendships matter! After I learned that lesson, I knew that I had to change things around. So instead of trying to meet as many random people as possible in 2 hours of "networking", I now focus on having more contacts with the same people. And you know what? That (for me) is actually more fun. I don't like meeting 50 people and forgetting 49 names instantly. I enjoy spending an hour (or four) with truly inspirational people over dinner or a coffee. This gives you way more time to actually talk about interesting stuff – instead of trying to memorize names and exchanging pleasantries – and getting to know each other. Matthew – never having been asked that question before – just didn't know how to respond to that. We are just not used to someone being sincerely interested in helping you. It's a bit like customer service: The bar for good service is so low, that it has become ridiculously easy to stand out of the crowd. The same is true for networking: Put the other person first, try to actively help him and you are on a good track to making new friends. Just had coffee with @itengelhardt. He asked "What can I help you with?" My response: "derrrr.. never been asked that before.."
I feel like asking that might be a cheat code for life. Hell, YES, Matthew! That is spot on! I didn't know it up to seeing his reaction, but it really is a cheat code. It immediately tells your fellow bootstrapper, that you genuinely care about him (You of course have to mean it…). Please, go out and use this hack. I have made it a habit since to ask every founder I meet the very same question: "How can I help you?" – You wouldn't believe how happy they are just to hear those words! It works even better, if you can help them by giving feedback, buying their product or connecting them to other people you know. Können Großzügigkeit und Hilfsbereitschaft dein Unternehmen zum Erfolg führen? Wir als Unternehmer haben eine soziale Verpflichtung, die über das Zahlen von Sozialversicherungsabgaben und Einhalten von Arbeitsgesetzen hinausgeht. Unsere Unternehmen sollen dazu beitragen, das Leben unserer Mitmenschen besser zu machen. Es gibt zahlreiche, sehr gute Beispiele von Unternehmern, die – teilweise enorme – Großzügigkeit an den Tag legen. Für mich ganz oben auf der Liste: Bill & Melinda Gates, Warren Buffet und die anderen Unterzeichner des The Giving Pledge. Diese Menschen haben geschworen den Großteil ihres Vermögens dem Wohl der Menschheit zu widmen. Bill und Melinda Gates haben sich mit ihrer Foundation nicht weniger vorgenommen als Polio, HIV und Malaria auszurotten – ganz sportlicher Ansatz, oder? Moz (früher SEOMoz) hat Großzügigkeit ganz groß in die Unternehmenskultur aufgenommen. TAGFEE (gesprochen “Tägfii”, das Kurzwort für die Unternehmenskultur) steht dabei für “Transparent, Authentic, Generous, Fun, Empathatic, Exceptional” – auf Deutsch etwa “Transparent, Authentisch, Großzügig, Spaßig, Mitfühlend, Außergewöhnlich”. Dabei bleibt TAGFEE keine leere Worthülse wie in vielen anderen Unternehmen. Moz teilt sämtliche Umsatzzahlen und Metriken wie Churn mit allen Mitarbeitern. Der CEO Rand veröffentlicht sogar seinen Kontostand in seinem Blog. Natürlich hat nicht jeder von uns ein paar Milliarden rumliegen, um mal eben eine ganze Krankheit auszurotten. Aber auch für weniger betuchte Unternehmer gibt es genug Möglichkeiten, um großzügig zu sein. Vorleben tun das zum Beispiel Patrick McKenzie, Rob Walling, Jason Cohen, Hiten Shah oder Joanna Wiebe. Sie alle sind großzügig, indem sie ihr Wissen mit uns teilen und man sie einfach fragen kann, wenn man an irgendeiner Stelle Rat braucht. Und genau das ist, was wir alle machen können! Jeder von uns kennt sich auf irgendeinem Gebiet besonders gut aus: Kaltakquise, E-Mail Marketing, Programmieren, Conversion Optimization oder egal was. Jeder von uns kann irgendwas beitragen. Wenn man glaubt gar nichts zu wissen, dann kann man eine Konferenz besuchen, Notizen schreiben und in seinem Blog veröffentlichen (das habe ich zum Beispiel auf der MicroConf gemacht). Wenn du ein Blog oder eine Webseite hast: Linke zu anderen Webseiten. Das tut dir nicht weh und andere freuen sich darüber. Es sollte NICHT dein Ziel sein, nur deswegen großzügig zu sein, um deinem Unternehmen weiterzuhelfen. Das ist so leicht durchschaubar und wird nicht langfristig funktionieren. Ich helfe Leuten, weil es mir Spaß macht (selbstsüchtig – oder?). Ich bin seit ich 14 war im Roten Kreuz, weil es mir Spaß macht, anderen Menschen zu helfen und großzügig zu sein. Und trotzdem ist es nicht zu leugnen, dass sich diese Großzügigkeit (langfristig) für mich immer ausgezahlt hat. Die Notizen von der MicroConf sind rein aus dem Gedanken “*Irgendwas* musst du doch auch beitragen können” entstanden. Das Ergebnis? Hunderte Tweets & Retweets auf Twitter, tausende Leser auf meinem Blog und die Domain Authority meiner Webseite hat sich über Nacht verdoppelt. Benedikt Deicke ist nicht nur in der Open-Source-Szene sehr aktiv, sondern auch ein Mentor für Rails Girls Frankfurt. Dort bringt er interessierten Frauen die Programmierung näher. Die Kontakte, die er dort geknüpft hat, haben ihm ermöglicht den Sprung in die Selbstständigkeit zu wagen. Unerwartet, aber ein ganz angenehmer Nebeneffekt – oder? Der Geheimtipp lautet: Probier gar nicht erst auf eigenen Vorteil zu spielen, indem du großzügig bist. Sei großzügig, der Rest erledigt sich von ganz allein. Großzügigkeit und Hilfsbereitschaft können (ich glaube sogar werden) dazu führen, dass dein Unternehmen mehr Erfolg hat. Anderen Menschen zu helfen ist unglaublich lohnend und macht irrsinnig viel Spaß (zumindest mir). Hast du eigene Ideen, wie man seinen Mitmenschen und anderen jungen Unternehmern helfen kann? Dann behalt’s nicht für dich, sondern teile es mit uns in den Kommentaren! All these roles are essentially Incarnations of Product Managers! And you can achieve all this, even if you don’t know jack about marketing and don’t have an outrageously big following. I have been following Mike Taber, Rob Walling and MicroConf for over one year – mainly through the Startups For The Rest Of Us Podcast. This year I got my big chance and was able to attend MicroConf. The only trouble being: I practically know nothing about marketing (aside from implementing different ideas with my product TerminRetter). I can not just go to a conference, lurk around and not give something back to my fellow attendees or the hosts. So I wrote Rob and Mike a week or two in advance and told them, that I would be in Vegas early, gave them my number and told them, that I would be available, if they need someone to run an errand or needed help otherwise. However, the conference came around and I hadn’t provided any value to anyone. I decided on the morning of the first day, that I could do something else. I planned on taking notes anyway (because speakers at MicroConf are famous for shelling out great actionable advice) and figured, that others might find those notes useful as well. After all, I might not know anything of value, but I sure as hell can type pretty fast. You are reading this article, so I am going to assume that you have at least one blog (based on WordPress) and a twitter account. What you are going to do is pretty simple and straightforward: You are going to write the best, most detailed notes you possibly can and provide them to others in a timely manner. If you do a good (enough) job at this, you will be approached in the hallway by other attendees, who recognize you as “the guy who shares those detailed notes” – something I did not anticipate. To take good notes you need to be able to reproduce the structure of the talk into a (somewhat) formatted blog post. If you get all this set up before the conference starts, you should have a pretty relaxed time putting together the actual notes. Now, when the talk begins, all that matters is, that you type like a boss. Seriously, you will need to follow the talk, put the content into good, short, yet detailed notes and add some formatting here and there (headings, lists with different levels of indentations, some bold and italic text). During the talk, just focus on putting the content into your post. Try to follow the speaker and especially put the information into the notes, that is not on the slides. Most speakers will put their slides online, so that information will soon be available. But what the speaker says, is not immediately available online – and it might well never be. If you don’t manage to take good notes on a talk, just try to settle on a lower standard – don’t give up (Thanks to Nathan Barry for giving me this advice). Put out whatever you can, focus on the most important bits of advice the speaker gives. Try to add the missing information later on from the slides. That’s it. If you follow this guide you will be able to make great friends with a lot of amazing people. Out of 18 speakers at MicroConf 2013 at least 12 tweeted a link to the notes at least once. Many of them even came over to personally thank me and shake my hand and talk to me. That was probably because of the atmosphere at MicroConf, where everyone was very approachable. I also got 70 new followers (which means +56% for me!) in just 4 days! Now, are you up to the challenge and will make sure that the wisdom of the speakers at your next conference will be stored for eternity? Are you prepared to give something back to the community, even if you don’t know much about the topics (yet)? I would love to hear from you in the comments. PS: the initial version of this article was named “How I Got Retweeted 50 Times To 100k+ People“. But it eventually dawned on me, that I would let my mentors (and idols) – most notably in this regard Joanna Wiebe and Nathan Barry – down, if I don’t put what they taught me into action. That’s why the title of this blog post is now all about YOU instead of ME. And that’s why there’s the ‘Even If…’ in the title. And that’s why this blog post has more than 1,000 words, because I want to be at least half as successful as Nathan Barry (who writes 1,000 words EVERY. SINGLE. DAY.). Gerade bin ich bei der Recherche im Internet auf eine wirklich große Seite gestoßen, die trotzdem einen der einfachsten SEO-Fehler begeht und dadurch 40.000 Links von fast 3.000 unterschiedlichen Domains verschenkt. 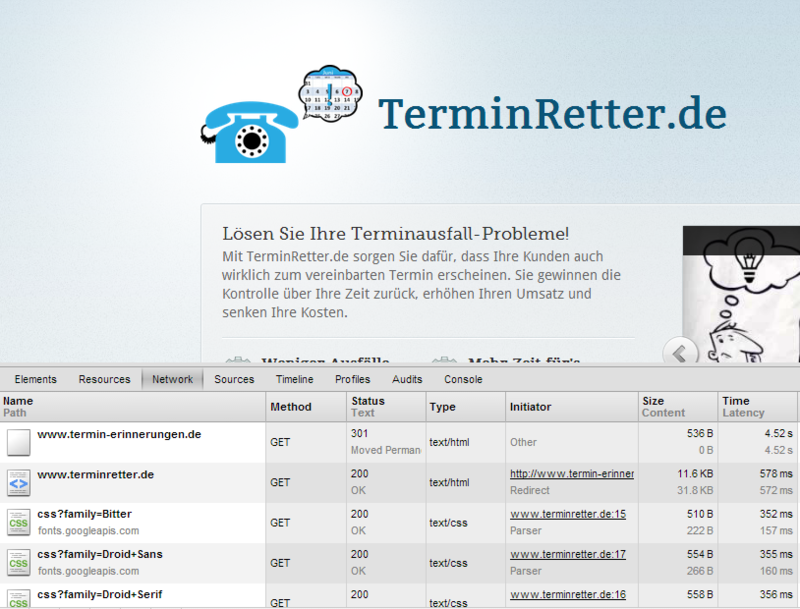 Welche Seite "verliert" 40.000 eingehende Links? Bei der Seite, um die sich dieser Artikel dreht, handelt es sich um die Webseite des Deutschen Industrie- und Handelskammertag (http://www.dihk.de). Wie verliert www.dihk.de denn nun 40.000 Links? Hand auf's Herz: Wer wusste, was der DIHK ist? Normalerweise sprechen wir doch alle von der Industrie- und Handelskammer (IHK). Deswegen hatte ich auch http://www.ihk.de in meinen Browser eingegeben und eine Weiterleitung bemerkt. Der gelbe Kasten unter der Statistik weißt schon darauf hin: Diese Seite leitet auf www.dihk.de um. Soweit so gut, das Problem ist nur, dass dafür ein sogenannter HTTP 302 – Redirect verwenden wurde. Damit signalisiert der Server dem Besucher, dass es sich um eine temporäre Umleitung handelt. Für Google bedeutet das: Der Link-Juice (also der positive Effekt, den eingehende Links haben) wird nicht an die neue Seite (www.dihk.de) weitergereicht. Um das überdeutlich zu machen: Wenn man einen 302-Redirect verwendet, dann verliert man jeden positiven Effekt, der durch den eingehenden Link entsteht. Besser (aus Sicht von Google) ist ein sogenannter 301-Redirect – eine echte, permanente Umleitung. Diese dauerhafte 301-Umleitung zeigt Google an, dass ein Umzug stattgefunden hat und Google überträgt dann den Link-Juice von der alten Domain (www.ihk.de) auf die neue Domain (www.dihk.de). Ich habe das zum Beispiel gemacht, als ich mein Produkt von Termin-Erinnerungen.de in TerminRetter.de umbenannt habe. Diese Datei sorgt dafür, dass alle Aufrufe von www.ihk.de auf www.dihk.de umgeleitet werden – mit einer dauerhaften 301-Umleitung. Das sorgt dafür, dass alle Links in Zukunft auf www.dihk.de zeigen und den Link-Juice an die neue Seite vererben. Der zweite schwere Fehler, den die Administratoren der Webseite begehen, ist dass die Webseiten nicht unter http://ihk.de bzw. http://dihk.de erreichbar sind. Hier fehlt also jeweils das "www." vor der Domain. Hier hat sich die Lage im Web in den letzten Jahren dramatisch geändert – vor allem durch das Aufkommen von mobilen Geräten wie Smartphones. Da hier das Eintippen von Text deutlich schwerer ist als auf einer richtigen Tastatur, sparen viele Nutzer sich das "www." vor dem Domainnamen ein. Dadurch gehen dem Domaininhaber letztlich alle Nutzer verloren, die die kurze Adresse direkt eingeben. Dagegen fallen die etwa 200 eingehenden Links auf ihk.de bzw. dihk.de schon fast gar nicht mehr auf. Die Lösung ist auch hier einfach: In den Einstellungen des Webservers muss einfach die entsprechende Domain erreichbar gemacht werden und dann mit dem oben genannten Skript auf www.dihk.de umleiten. Genau diese Methode wende ich auch bei TerminRetter.de an, das direkt auf www.TerminRetter.de umleitet. Es sind nur Kleinigkeiten, die keine 15 Minuten zur Reparatur benötigen, aber sie führen dazu, dass dem Deutschen Industrie- und Handelskammertag jeden Tag sicherlich dutzende – wenn nicht hunderte – Besucher entgehen. Der DIHK kann das bestimmt verkraften, aber wir müssen auf sowas achten und dafür sorgen, dass es uns nicht so ergeht. Habt ihr andere Seiten entdeckt, die die gleichen Probleme haben? Ist es euch vielleicht selbst schon so ergangen? Ich freue mich auf eure Kommentare! Google gibt in 2013 richtig Gas! Heute hat der Weltkonzern aus Mountain View, CA gleich drei(!) neue Produkte vorgestellt, die unseren Alltag revolutionieren werden! Google Glass – ein Computer, als Brille, der mir Daten direkt vor's Auge projeziert und mit dem ich rede. Viel mehr Star Trek geht doch gar nicht! Google Driverless Car – ein selbstfahrendes Auto? Endlich brauche ich mir keine Gedanken mehr machen, wenn meine Frau das Auto hat! Penguin und Panda Updates– OK.. das war nicht für alle erfreulich. Aber die Suchmaschinen-Nutzer haben deutlich davon profitiert. Aber was da in 2013 auf uns zurollt, das sprengt diese Dimensionen nochmal! Festhalten, Jungs: Hier beginnt die Zukunft! Könnt ihr euch noch an diese Heilsversprechungen Ende der 90er Jahre erinnern? "Bald werden wir Kino in 4D haben. Wir werden die Filme RIECHEN können". Jeden Monat hat man den Schmarrn in einer anderen Zeitschrift gelesen. Jetzt ist Schluss mit diesem Wischi-Waschi. Wenn Google etwas mit seinem Namen verbindet, dann kommt es auch! Google Nose erlaubt die Übertragung von GERÜCHEN auf das Smartphone. Was für eine Erleichterung für all die Fernbeziehungsgeplagten. Endlich kann man nicht mehr nur über das Telefon die vertraute Stimme hören und über Skype das lieb gewonnene Lächeln sehen, jetzt kann man endlich den Partner riechen. Ich denke, dass diese Technologie das Potential hat, den Cybersex – wie wir ihn kennen – zu revolutionieren! Das Gmail-Interface ist ja schon ziemlich angestaubt. Hier war ein Redesign quasi unumgänglich: Schlichter, aufgeräumter, mehr Fokus auf das Wesentliche, bessere Unterstützung von mobilen Geräten. Aber was von Google erwartet wurde und was Google liefert… dazwischen LIEGEN WELTEN! Gmail Blue macht Schluss mit den Ablenkungen verschiedenster Farbkombinationen und verwendet nur noch eine Farbe: Blau. In Zusammenarbeit mit führenden Optikern und Augenärzten hat Google die Farbe Blau gewählt, weil sie auch bei stärkstem einfallendem Sonnenschirm noch auf jedem Tablet-Bildschirm gut lesbar bleibt. Ich freue mich auf eine Welt, die dank Gmail Blue weniger Ablenkungen bereit hält und wie sehr Google Nose unsere Welt verändern wird, das kann man heute sicherlich noch gar nicht absehen. Es sind tolle Zeiten in denen wir leben! 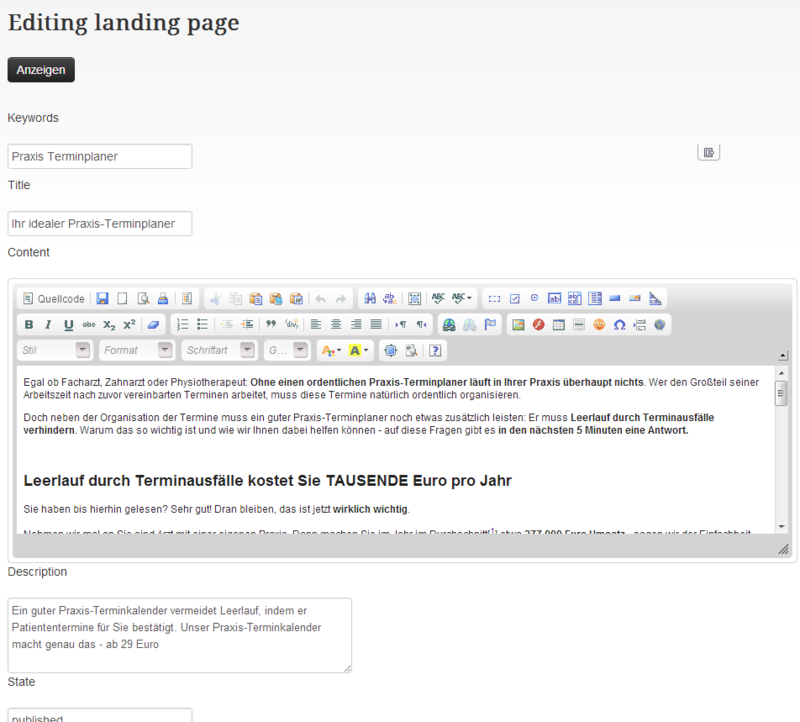 Achtung: Der letzte Link zu HitTail in diesem Artikel ist ein Affiliate-Link. Ich stelle das Tool hier vor, weil ich es für extrem hilfreich halte. Wenn ihr es ausprobieren wollt, freue ich mich, wenn ihr den letzten Link zur Anmeldung nutzt. Eine der schwierigsten Aufgaben beim Schreiben von Blogartikeln oder anderen Texten für eine erfolgreiche Content-Marketing-Strategie ist das Finden von guten, passenden Keywords. Wäre es nicht schön, wenn es ein Tool gäbe, das mir automatisch jede Woche Keywords vorschlägt? Keywords, die so wenig umkämpft sind, dass ich schon durch das Schreiben eines Textes fast zwangsläufig auf Platz 1 bei Google lande? Keywords, die mir monatlich zuverlässig einige Besucher senden? HitTail.com ist genau so ein Tool und in diesem Artikel zeige ich ganz genau, wie HitTail funktioniert, wie man es richtig einbindet und warum man JETZT damit anfangen sollte, bevor es zu spät ist. 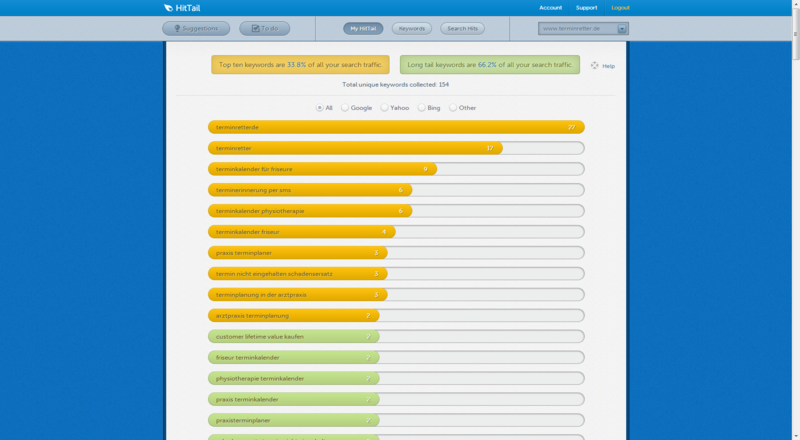 HitTail wertet alle Besucher der eigenen Webseite aus und ermittelt mit welchen Suchanfragen/Keywords sie die eigene Seite gefunden haben. Anschließen rankt es die so gewonnen Daten anhand von acht verschiedenen Faktoren. Dabei filtert HitTail genau die Ideen für Longtail-Keywords heraus, die einige Suchanfragen pro Monat und gleichzeitig keine nennenswerte Konkurrenz in den organischen Suchergebnissen haben. Das bedeutet, dass man genau die Longtail-Keywords vorgeschlagen bekommt, bei denen man durch das Schreiben eines Artikels schon auf Platz 1 bei Google landen kann und die dennoch einen konstanten Besucherstrom garantieren. Nach der Anmeldung bei HitTail muss man noch auf der eigenen Seite ein kleines Script einbinden – ähnlich wie bei Google Analytics. Sobald das Skript eingebunden ist, werden die notwendigen Informationen (für die Techies: Der URL-Referrer) an den HitTail-Server zur Auswertung gesendet. Die Auswertung erfolgt in Echtzeit. Aus dem Referer ermittelt HitTail nach welchem Keyword der Besucher gesucht hat. Dann bewertet HitTail die Konkurrenz für das jeweilige Keyword – also wie viele andere Seite ranken für dieses Keyword und wie stark sind diese Seiten aufgestellt? Danach schaut HitTail, ob die eigene Webseite schon auf Platz #1 für dieses Keyword steht. Zumindest war das bisher die Herangehensweise, weil nur sehr wenige SEOs überhaupt auf Longtail-Keywords achten. Aber mit HitTail verändern sich die Spielregeln, weil man ohne eigenes Zutun an die knackigen Longtail-Keywords rankommt. Wenn HitTail also feststellt, dass die Konkurrenz für das Keyword schwach ist und man selbst noch nicht auf Platz 1 steht, prüft HitTail, ob wenigstens einige Menschen jeden Monat nach dem Keyword suchen. Wenn die Analyse ein gutes Ergebnis liefert, dann schlägt HitTail dieses Keyword für einen neuen Artikel vor. Die Vorschläge kann man in Echtzeit auf der Homepage von HitTail einsehen – oder man wartet auf die wöchentliche Zusammenfassung per E-Mail. Wer keine Zeit hat, um den entsprechenden Artikel selbst zu schreiben, kann den Artikel auch direkt bei HitTail für 19 Dollar bestellen. Das Tolle an HitTail ist, dass man ganz automatisch neue Ideen für Artikel bekommt. Ich erhalte jede Woche mehrere brauchbare Vorschläge für TerminRetter.de. Laut HitTail erhält man alle 15-20 Suchanfragen einen neuen Vorschlag. Ich würde eher sagen dass es alle 30-50 Besucher einen neuen Vorschlag gibt, aber das ist mein Gefühl und nicht durch Daten belegt. Noc besser ist: Meine Mitbewerber haben keinerlei Zugriff auf diese Keywords. Die Konkurrenz weiß gar nicht, dass diese Keywords lukrativ sind, denn die Daten habe nur ich. Kein anderer hat Zugriff auf meine Besucher, was einen zusätzlichen Wettbewerbsvorteil bietet. Ein Nachteil an HitTail ist, dass es stark auf den englischen Markt fokusiert ist. Es kann zwar mit Umlauten umgehen und funktioniert damit auch auf einer deutschen Seite ohne Probleme. Aber die deutsche Sprache arbeitet viel weniger mit Hauptwörtern bzw. hat oft irgenwelche "Stoppwörter" eingebaut. Für ein Keyword wie "umsatzausfall für selbstständigen haftung" wird es schwer, einen tollen Artikel mit genau dieser Keywordkombination zu schreiben. Ich weiß nicht, ob man die Worte genau so wiederholen muss, um sauber auf Platz #1 zu landen – vielleicht könnt ihr das beantworten? Der zweite Nachteil ist, dass HitTail natürlich auch unter er zunehmenden Verbreitung des Keywords "(not provided)" leidet. Da mittlerweile etwa 30 Prozent aller Besucher mit "(not provided)" auf die eigene Seite kommen, verliert HitTail immer weiter seine Datenbasis. Unter diesem Problem leiden aber ALLE Analytics-Tools und es ist DER Grund schlechthin, um jetzt HitTail zu verwenden, um die Chancen zu ntzen, solange sie noch da sind. Du hast nicht das Wissen und/oder die Zeit, um dich mit anderen um die "berühmten" Keywords zu prügeln. Ich habe HitTail direkt in meine skalierbare Longtail-Optimierungsstrategie eingebunden, die ich für TerminRetter.de verwende. Das heißt, alle Vorschläge, die mir HitTail macht, landen direkt im entsprechenden Excel-Datenblatt und werden nach und nach in entsprechende Texte für TerminRetter.de umgesetzt. Diese Strategie steigert meinen Traffic um 10% jeden Monat. Das ist vielleicht nicht absolut überragend, aber für einen Teilzeit-Unternehmer ist das (denke ich) schon mal ganz ordentlich. Dabei kostet HitTail gerade mal ab 9 Dollar pro Monat und man kann es kostenlos für 14 Tage testen. Der Preis ist ein absolutes Schnäppchen, wenn man bedenkt, dass man mit EINEM einzigen Vorschlag lebenslang 15-20 Besucher pro Monat abstauben kann. Einfach einen guten Artikel zum vorgeschlagenen Keyword schreiben und zwei Wochen später steht man praktisch garantiert auf Platz #1 bei Google für dieses Longtail-Keyword. Wenn man das mit Google Adwords vergleicht, hätte man Probleme auch nur 10 Besucher für diesen Preis zu bekommen. Mit diesen Artikeln bekommt man 20 Besucher PRO Monat – Monat für Monat für Monat für Monat. Ich kann nur empfehlen HitTail so schnell wie möglich zu nutzen. Meine Erfolge bisher sind sehr überzeugend und ich konnte den Traffic auf TerminRetter.de jeden Monat erheblich steigern. Zusammen mit der Longtail-Optimierungsstrategie bewirkt dieses Tool wahre Wunder. Also nutzt doch einfach die kostenlose Testversion von HitTail – und berichtet dann von euren Erfahrungen hier in den Kommentaren. Vor einigen Wochen habe ich einen Gastartikel auf dem Softwareentwickler-Blog geschrieben. Der Artikel hat eine großartige Diskussion nach sich gezogen und deshalb will ich den Artikel hier nochmal ausführlicher wiedergeben. Dabei will ich auf einige der Argumente in der Diskussion eingehen. In diesem Artikel werde ich das Thema SaaS-Anwendungen aus unternehmerischer Sicht beleuchten und zeigen, warum SaaS-Anwendungen für Einzel-Unternehmer eine besonders reizvolle Alternative bei der Produktentwicklung sind. Die Abkürzung SaaS steht für "Software as a Service" und bezeichnet die Bereitstellung von Software als Dienstleistung direkt aus der Cloud heraus. Cloud und SaaS sind derzeit wirklich in aller Munde, aber dabei wird in der Regel nur über die Einsparungsmöglichkeiten für größere Unternehmen geredet. In der Diskussion wird aber selten ein anderer Aspekt betrachtet: Die Vorteile, die SaaS-Anwendungen für (Ein-Mann-)Unternehmen bieten. Zumindest bis jetzt, denn in diesem Artikel will ich genau das zeigen. Ich will zeigen, wie SaaS-Applikationen die Welt für kleine Softwareschmieden auf den Kopf stellen. Allgemein betrachtet ist SaaS eine Art die Software in die Hände des Endanwenders zu bringen. Dabei kann der Anwender den Dienst so lange nutzen, wie er dafür bezahlt. In diesem Artikel will ich den Begriff etwas enger fassen und ausschließlich Web-Apps betrachten, die auf einem Server im Internet… Entschuldigung, das heißt natürlich: in der Cloud gehostet werden. Meistens werden diese Anwendungen für einen monatlichen Betrag angemietet. Eine andere Alternative ist das sogenannte Freemium-Modell bei dem es einen kostenlosen Tarif mit eingeschränkter Funktionalität gibt. Will man alle Funktionen nutzen, muss man in einen kostenpflichtigen Tarif wechseln. Die meisten SaaS-Anwendungen sind absolute Nischenprodukte und erfüllen eine einzige Funktion in herausragender Weise. Ich nutze selbst jedes dieser Tools und bin absolut zufrieden mit jedem Einzelnen. Ein Punkt in der Diskussion im Gastartikel war, dass diese Beispiel-Produkte nicht einfach herzustellen sind/waren. Darauf werde ich später eingehen. Wie unterscheidet sich eine SaaS-Software von herkömmlicher Software? In der anderen Ecke des Ringes stehen die SaaS-Anwendungen, würdig vertreten durch Office 365 aus dem Hause Oracle… Quatsch, natürlich auch Microsoft. Die Installation dort ist ganz einfach: Man geht auf die Webseite von Office 365 und wählt dort den Tarif "Kleine Unternehmen (P1)" für 4,90 Euro pro Benutzer/Monat und genießt erstmal die kostenlose 90-Tage-Testversion, um sich mit dem Produkt vertraut zu machen. Eine echte Installation entfällt und Administratorrechte braucht man auch keine. Ein einfacher Webbrowser reicht völlig aus, schließlich läuft die eigentliche Software ja auf einem Server… in der Cloud – Himmel Herr Gott nochmal. Eventuelle Updates werden ohne irgendein Zutun des Nutzers aufgespielt (Facebook macht das zweimal am Tag!). Sobald der Nutzer die Zahlung einstellt, kann er die Software auch nicht mehr Nutzen. Welche Vorteile hat SaaS für einen Selbstständigen? Die beiden wichtigsten Punkte aus Unternehmersicht sind dabei der monatlich wiederkehrende Umsatz und die Gewinnspanne. Betrachten wir ein Unternehmen, das Software nach dem klassischen Modell verkauft. Im Januar hat die Firma 300 aktive Nutzer ihrer Software gehabt, die super zufrieden mit der Software sind. Wie viel Einnahmen macht die Firma im Februar von diesen Nutzern? Ziemlich exakt 0 Euro. Um mehr Geld zu machen, muss die Firma NEUE Kunden gewinnen. Neue Kunden an Bord zu bekommen, ist ungefähr eine Trillionen Mal schwerer (und kostspieliger) als einfach nur seine Bestandskunden zu halten. Nehmen wir die gleiche Situation für ein Unternehmen mit SaaS-Anwendungen an. 300 aktive Nutzer, die alle im Tarif für 19 Euro pro Monat eingeschrieben sind, bringen 5.700 Euro gesicherte Einnahmen in diesem Monat. Um dieses Level zu halten, muss man nichts anderes machen, als zufriedene Kunden zufrieden halten. Diese regelmäßigen Umsätze bringen dem Selbstständigen Planungssicherheit und nehmen ihm die Angst, von heute auf Morgen ohne Einkommen dazustehen. Der zweite wichtige Punkt sind die angenehm großen Gewinnspannen. Dieser Punkt ist uns Entwicklern hinlänglich bekannt, Software hat so gut wie keine Stückkosten. Selbst SEOMoz, die bis vor Kurzem noch 800.000 Dollar pro Monat für die Erstellung ihres Webindex ausgegeben haben, berichten von 86 Cent Deckungsbeitrag pro Dollar Umsatz. Die Stückkosten für die Herstellung von Software sind lächerlich! Ich weiß, dass jetzt wieder das Geschrei losgeht "Das stimmt doch gar nicht. Man muss auch noch Personalkosten, Lebenshaltungskosten und sonstige Kosten mit einrechnen.". Und natürlich stimmt das, ABER wenn wir mal ehrlich mit uns selbst sind, dann gibt es kaum Produkte, die ähnliche Gewinnmargen haben wie Software. Ansonsten würden die meisten meiner Leser nicht so hübsch hohe Gehälter bekommen. Ein weiterer angenehmer Punkt ist das geringe benötigte Startkapital. Betrachten wir hierzu nochmal das Beispiel von FollowUp.cc. Alles was man für diesen Dienst braucht, ist etwas Hosting und eine Möglichkeit zum E-Mailversand. Entweder ich kaufe mir diese Optionen für 9.95 Euro / Monat bei irgendeinem Hoster in Deutschland. Oder ich gehe direkt auf die kostenlose Schiene: Hosting bei Heroku.com, E-Mailversand über Sendgrid.com. Heroku bietet im kostenlosen Tarif einen Webdyno (Webserver), der gut einige hundert Zugriffe am Tag verträgt, und 10.000 Einträge in der Datenbank. Sendgrid erlaubt kostenlos 200 E-Mails pro Tag zu versenden – also etwa 6.000 im Monat. FollowUp.cc verlangt $10 pro Monat für 250 E-Mails. 6.000 durch 250 bedeutet 24 Kunden ohne dass man einen Euro zahlen muss. Man kann also ohne (Hosting-)Kosten erstmal $240 pro Monat einnehmen. Wenn man an dem Punkt ist, dass die kostenlosen Tarife nicht mehr reichen, dann hat man $240 Einnahmen pro Monat, um die nächsten Wachstumsschritte zu finanzieren. 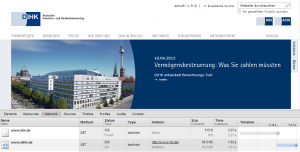 Der Reiz des Bootstraping! Warum brechen die Umsätze für Werbung in Printmedien zusammen und explodieren für Online-Marketing? Einer der Gründe dafür ist die Messbarkeit bei Online-Kampagnen. In Printmedien wird die Anzeige für mehrere tausend Euro geschaltet und mit Glück sieht man einige Zeit später einen deutlichen Umsatzanstieg. Wenn man mehrere Anzeigen gleichzeitig schaltet, ist es enorm schwer den Umsatz einer Anzeige zu zuordnen. Selbst wenn man nur eine Anzeige schaltet, könnte der Grund auch woanders liegen. Bei Onlinewerbung kann man jeden Umsatz der jeweiligen Kampagne zuordnen. Man kann ganz genau sehen, dass der Umsatz für das eine Keyword doppelt so gut konvertiert wie für das andere. Man kann sogar feststellen wie lange ein Besucher auf der Webseite war, nachdem er auf eine Anzeige auf einer anderen Webseite geklickt hat. Das ist alles möglich! Und Onlinewerbung beginnt bei etwa zwei Euro pro Klick über Adwords. Die ganze Anwendung läuft auf einem Server mit einer Konfiguration – nicht auf tausenden Computern mit unterschiedlichen Betriebssystemen, unterschiedlichen Updateständen, unterschiedlicher Hardware und unterschiedlicher Drittanbieter-Software. Viel weniger Fehlermöglichkeiten, viel mehr Kontrolle über das System. Bei traditioneller Software muss man dem Nutzer ein Update bereitstellen, das er dann installiert – was oftmals wieder Administratorrechte erfordert. Bei SaaS-Anwendungen kann man Änderungen an der Software durchführen, ohne dass der Nutzer etwas merkt (außer die neuen Funktionen). Ich habe es oben schon gesagt: Facebook macht das zweimal am Tag. Hinter diesem Begriff verbirgt sich ein einziger Gedanke: Egal wo man gerade auf der Welt ist, man hat vollen Zugriff auf alle Funktionen des Unternehmens. Man könnte eine Weltreise machen und trotzdem nebenbei sein Unternehmen führen. Natürlich haben SaaS-Anwendungen auch einige Nachteile und es ist sicherlich nicht alles so einfach wie es sich im ersten Moment anhört. Auch eine SaaS-Anwendung braucht für Ihren Erfolg vor allem eines: Kunden. Kunden bedeuten Marketing, Vertrieb und Support – meistens keine Stärke von Programmierern. Also muss man aus seiner Komfortzone ausbrechen und sich dem Marketing widmen. Ich will hier ganz klar sein: Marketing bleibt einem nicht erspart! Meiner Meinung nach ist die Vermarktung bei SaaS-Produkten etwas einfacher geworden. Das Internet hat hier einige interessante Marketing-Möglichkeiten eröffnet (SEO, PPC-Marketing, etc) und die Messbarkeit des Erfolges ist genial. Trotzdem braucht ein erfolgreiches Produkt Marketing. Auch Kompatibilität mit den unterschiedlichen Browsern und Browserversionen ist grausam. Aber wer mal eine Java-Software (Slogan "Code Once, Debug Anywhere" o.ä.) auf unterschiedlichen Betriebssystemen und hunderten Hardwarekonfigurationen betreut hat, der kann über die kleinen Pixelfehler zwischen Firefox und Chrome nur müde lächeln. Ich finde, dass Software-as-a-Service-Anwendungen die gleichen Probleme wie traditionelle Software-Produkte oder Unternehmen insgesamt haben. Sie sind nur meiner Meinung nach nicht so stark ausgeprägt. Wirklich neue Probleme sehe ich bei SaaS-Anwendungen keine. Es sind die gleichen Probleme, aber etwas leichter zu überwinden. Bei Punkt 2 muss ich sagen, dass das zu keinem Zeitpunkt meine Meinung war. Ich kann aber verstehen, dass bei manchem Leser dieser Eindruck entstanden ist. Deswegen nochmal in aller Deutlichkeit: Alle hier erwähnten Produkte brauchen eine Menge Zeit und Liebe, um dorthin zu kommen, wo sie heute stehen. Aber…. ABER… diese Produkte müssen nicht so starten. Diese Produkte sind nicht so gestartet. Nicht mit der Stabilität, nicht mit so wenigen Bugs, nicht mit so vielen Funktionen und schon gar nicht mit so vielen Kunden. Der Punkt ist: Die haben alle mal klein angefangen. Und es könnte jedem von uns Schlimmeres passieren als nach ein paar Jahren mit tausenden / Millionen Nutzern – und entsprechendem Umsatz – da zustehen. Dafür muss man sich dann opfern und ein paar zusätzliche Server beschaffen, ein paar Leute anstellen und ein paar Features einbauen – glücklicherweise hat man dann ja die nötigen Einnahmen dazu. Nach etwa 1.700 Worten wildem Geschwafel, komme ich jetzt endlich mal zum Schluss (werden etwa 3.400 Worte werden ). Ich halte Software-as-a-Service für eine großartige Vertriebsstrategie und eine geniale Grundlage für viele spannende Produkte. Hauptgründe: monatlich wiederkehrende Umsätze & gute Gewinnspannen. Von den "normalen" Problemen – Marketing und Vetrieb – befreien SaaS-Anwendungen einen zwar nicht, sie machen das Leben aber einfacher. Gebt SaaS-Produkten eine Chance, probiert es aus, nutzt Lean Startup und Customer Development (a.k.a. "seid schlauer als ich"), baut ein MVP – die Risiken sind überschaubar! Heute will ich euch mal zeigen wie ich meinen Follow-Up-Prozess – oder deutsch das Nachfassen bei Kunden und Geschäftspartnern organisiert habe. Damit ist die Situation gemeint, wenn man von irgendwas erfährt, zum Beispiel "In zwei Wochen muss ich bei Herrn Müller anrufen, da ist er aus dem Urlaub zurück, und ihn nach den Ergebnissen des A/B-Tests fragen" oder "Herr Peter ist heute und morgen nicht im Büro. Ich kann ihn also frühestens am Freitag ans Telefon kriegen". Natürlich wollte ich das eigentlich JETZT erledigen, aber wenn's nicht früher geht, dann mache ich es halt sobald es wieder geht. Ich hatte ja neulich schon einmal einen kurzen Screencast hier eingestellt. Das Thema des Screencasts war 'Wie erstelle ich einen Screencast'. Nachdem wir ja jetzt alle wissen, wie wir unseren Bildschirm aufnehmen können, nutzen wir unsere neu gewonnen Super-Fähigkeiten dazu, um etwas wirklich Nützliches zu erklären. Im Alltag ist es ja doch öfter mal so, dass ein Kunde eine E-Mail schreibt und man nicht sofort etwas unternehmen kann. Vielleicht ist der Kunde erstmal 2 Wochen im Urlaub oder man liest die E-Mail spät abends und will am nächsten Tag anrufen. Hallo und Herzlich Willkommen, mein Name ist Christoph Engelhardt von IT-Engelhardt.de. Ihr kennt wahrscheinlich das Gefühl, das ihr einen Haufen E-Mails rein bekommt und viele davon eigentlich nicht sofort zu bearbeiten sind, sondern erst in ner Woche einer Aktion meinerseits bedürfen. Oder zwei Wochen. Oder drei Tagen. Oder weiß der Geier wann. Das ist ja immer so ein bisschen ein lästiges Problem. Ich will euch einfach kurz zeigen, wie ich das heute… oder wie ich das üblicherweise löse. Und zwar nutze ich dazu einen ziemlich coolen Service, der nennt sich FollowUp.cc. Im Prinzip kann ich denen eine E-Mail schicken – an eine bestimmte Adresse – und die melden sich dann wieder. Also wenn ich denen zum Beispiel an ihre E-Mailadresse 12Stunden.. 12hours@followup.cc eine E-Mail schicke, dann bekomme ich 12 Stunden später wieder eine E-Mail von denen. Der Dienst ist ziemlich genial, meiner Ansicht nach und hier seht ihr mal die Preise oder die verschiedenen Tarife. Das Coole ist ihr könnt es kostenlos ausprobieren. Das heißt in dieser Free-Version kostet es halt einfach mal nichts. Dafür habt ihr halt nur 20 Erinnerungen pro Monat. Ich benutze es jetzt seit 2 Monaten und werde wohl demnächst auf die kostenpflichtige Plus-Variante umsteigen. Das ist der Einstellungsdialog, wenn ihr das Ding – also wenn ihr angemeldet habt und in diesem Einstellungsdialog drin seid, dann ist es erstmal wichtig, dass ihr oben eure ganzen E-Mailadressen hinzufügt. Dann könnt ihr – was auch noch wichtig ist – hier eure Zeitzone und wann euer Tag beginnt einstellen. Ich hab jetzt mal bei mir sieben Uhr morgens eingegeben. Das passt mir halt ganz gut. Das muss jeder selbst wissen. Und jetzt zeige ich euch einfach mal wie das geht. Und zwar habe ich hier zwo E-Mails bekommen. Ah… Die Erste.. kurz durchlesen… ahem.. morgen 10 Uhr ne TelKo. Schreibe ich dem Mann doch mal zurück. Ja, der Termin steht natürlich noch [Klappern der Tastatur]. Viele Grüße Christoph. Und jetzt schreibe ich eine E-Mail. Weil ich dazu neige gelegentlich was zu vergessen, nutze ich jetzt Follow-Up. Und zwar möchte ich um 9 Uhr 45 morgens daran erinnert werden. Also schicke ich eine E-Mail an 945am@followup.cc und damit ihr auch seht wie das Ding funktioniert schicke ich auch noch eine an 1minute@followup.cc. Da kommt ne E-mail, die ist für's andere Konto, die können wir mal getrost ignorieren. Und so organisiere ich im Moment meine Follow-Up. Ich bin hoch zufrieden damit. Das ist sehr einfach und wenn man daraüber nachdenkt, die meisten Termine, die so angefragt und rein kommen, die meisten Follow-Ups, passieren irgendwie in der eigenen Inbox… im eigenen Postfach. Update: Ich hab's leider verpeilt nach 7 Tagen zu schauen, aber 12 Tage später bin ich für "skalierbare Longtail-Optimierungsstrategie" auf den Plätzen 1 bis 3 bei Google – q.e.d. Suchmaschinenoptimierung(SEO für Englisch „Search Engine Optimization“) ist unter Online-Marketing-Experten so etwas wie der heilige Gral. Im Gegensatz zu anderen Kanälen verursacht SEO keine Kosten pro Besucher. Es ist egal, ob ich 100 oder 100.000 Besucher mit SEO auf meine Seite locke – die Kosten bleiben die Gleichen. Aber SEO ist für kleine und mittlere Unternehmen oft ein Buch mit sieben Siegeln: Zu komplex, zu viele Gerüchte, zu viele Rädchen zum Daran-herum-spielen, zu viele Meinungen und keine klare Anleitung. Deswegen haben kleine und mittelständische Unternehmen oft überhaupt keine SEO-Strategie. Dazu kommen dann noch SEO-Agenturen, deren Kosten für kleine Unternehmen schlicht unbezahlbar sind. Damit ist jetzt Schluss! In diesem Artikel zeige ich euch, wie man mit etwas Programmierkenntnissen und ohne viel Geld eine funktionierende Strategie für die Suchmaschinenoptimierung seiner Webseite entwickelt und sich dauerhaft kostenfreie Besucher sichert. Diese Strategie macht SEO außerdem skalierbar: Ihr könnt oben Geld rein schütten und unten kommen Besucher raus. Für Anfänger im Bereich Suchmaschinenoptimierung empfehle ich den ganzen Artikel zu lesen. Wer den Unterschied zwischen Big Head und Longtail kennt, kann die ersten Absätze gerne überspringen. Viele denken, sobald sie „Suchmaschinenoptimierung“ hören, an Techniken wie Link-Farmen und andere obskure Methoden, um Google auszutricksen. Diese Methoden haben eines gemeinsam: Sie funktionieren nicht auf Dauer! Egal welche Methode wir betrachten, keine davon hat in der Vergangenheit länger funktioniert als ein bis zwei Jahre. Dann habe ich immer noch folgendes Problem: Ich habe Google verarscht. Und Google mag es nicht, verarscht zu werden. Google wird mich nicht direkt bestrafen: Es macht viel Arbeit, aber es hindert Nachahmer nicht daran es genauso zu machen. Google wird irgendwann, vermutlich innerhalb eines Jahres seinen Algorithmus anpassen, um alle zu bestrafen, die meine Technik kopiert und angewendet haben. Und plötzlich stehe ich ohne Traffic da. Merke: Ich kann Google nicht verarschen. Google hat TAUSENDE Ingenieure. Auch wenn es an meinem Ego kratzt: Die Wahrscheinlichkeit, das einer davon schlauer ist als ich, ist groß. Dieser eine Ingenieur macht den ganzen Tag nichts anderes, als Leute wie mich zu jagen – ich habe gerade einmal ein paar Stunden pro Monat für Suchmaschinenoptimierung übrig. Das große Erfolgsgeheimnis bei der Suchmaschinenoptimierung ist ein Wechsel in der Mentalität: Ich versuche NICHT Google zu verarschen, ich will Google helfen meine Inhalte zu finden und richtig einzuordnen. Für Google zählt nach wie vor eines besonders, wenn es die Rangfolge innerhalb der Suchergebnisse bestimmt: Links. Links von anderen Webseiten verleihen TerminRetter.de in den Augen von Google Glaubwürdigkeit. Egal ob Links in einem Blog, einem Presseportal, auf der Webseite meiner Kunde oder als geteilte Inhalte bei Twitter, Facebook und Konsorten: Diese Links machen es mir leichter bei Google auf dem ersten Platz zu landen. Wichtig dabei ist nur, dass diese Links ganz natürlich wachsen. Das heißt, ich verwende keine Spam-Methoden wie oben aufgeführt, sondern warte darauf, dass Leute meine Seite nützlich finden und auf sie verlinken. Ein Link zur Seite A auf TerminRetter.de hilft dabei nicht nur dieser Seite weiter, sondern hebt auch alle anderen Seiten an. Natürliche Links erreicht man vor allem durch hervorragende Inhalte (neudeutsch: Content) auf der eigenen Webseite. 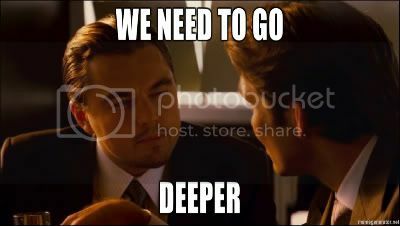 Ich habe im ersten Teil meiner 13 Traffic-Strategien für den Launch deines Startups es schon ausführlich beschrieben: der wichtigste Grundpfeiler für eine erfolgreiche Suchmaschinenoptimierung ist eigener Content. Inhalt, der so gut ist, dass andere Menschen ohne nachzudenken darauf verlinken. Diese Art von Inhalt gehört auf jeden Fall zu einer erfolgreichen Strategie. Ihr braucht diesen Content, um euch Links zu verdienen. Am besten eignen sich dazu Artikel, die eine komplexe Sache einfacher machen – so wie dieser Artikel. Daneben gibt es noch eine zweite Art von Inhalten. Ich nenne diese Art „Massen-Inhalte“. Es sind viele, viele, viele Artikel, die alle auf jeweils einen Begriff optimiert sind. Ein Beispiel dazu ist diese Seite auf TerminRetter.de, die auf das Keyword „Praxis Terminplaner“ optimiert ist. Was ist ein Keyword? 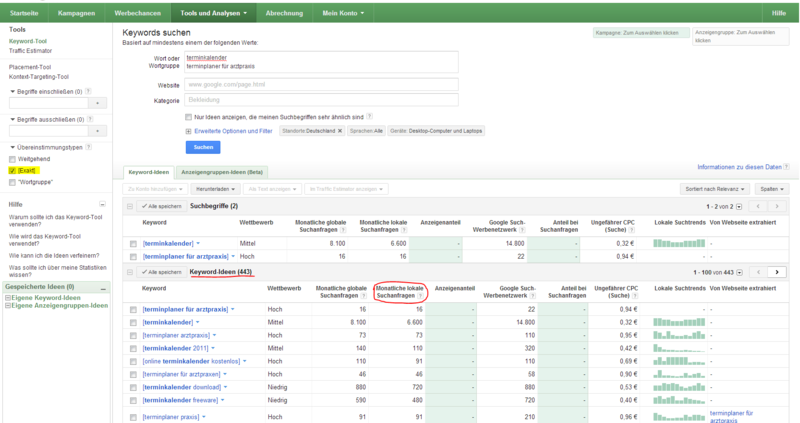 Ein Keyword ist ein Begriff, den Menschen bei Google eintippen, um nach etwas zu suchen. Zum Beispiel suchen Menschen nach „Weihnachtsgeschenk für Frauen“, „Kreditkarte“ oder „Detektei München“ – und nach einer ganzen Menge anderer Sachen über die ich lieber nicht reden will. Das Endziel ist es bei Google für solche Keywords (Suchanfragen) auf Platz 1 zu landen und Traffic einzuheimsen. Die Anzahl der Suchanfragen ist dabei nicht gleichmäßig unter den Keywords verteilt. Jeden Monat suchen 33.000 Menschen nach „Kreditkarte“, aber nach „Visa Kreditkarte sperren“ suchen gerade einmal 58 (Und Gott lob war ich bisher keiner davon). Es gibt einige, wenige Keywords mit Millionen Suchanfragen pro Monat. Aber es gibt Millionen Suchbegriffe mit weniger als 100 Suchen. Die großen Keywords, die jeden Monat sehr viel Traffic erzeugen, nennt man „Fat Head“ oder „Big Head“ (Im Bild grün). Die kleinen Keywords mit nur wenigen Anfragen pro Monat, nennt man den Longtail (gelb). Fun Fact: Das längste Keyword über das jemand TerminRetter.de besucht hat, war „Der schönste Klang im Ohr eines Menschen ist sein eigener Name“. Die meisten Menschen und vor allem SEO-Agenturen konzentrieren sich auf den Big Head, denn wenn man hier auf Platz #1 landet, dann hat man vorerst ausgesorgt. Das Problem daran ist, dass die Konkurrenz hier enorm ist. Für kleine Unternehmen wie unsere ist in diesem Bereich einfach nichts mehr zu holen. Deswegen müssen sich kleine und mittelständische Unternehmen bei der Suchmaschinenoptimierung auf den Longtail konzentrieren. Hier ist die Konkurrenz so gut wie nicht vorhanden. Und wenn es für ein Keyword doch Konkurrenz gibt, dann ist sie meist leicht zu schlagen. Im schlimmsten Fall weicht man auf das nächste Keyword aus. Man muss nicht alle Schlachten schlagen! Jetzt sollten unsere Profis auch wieder an Bord sein – Herzlich Willkommen! Das Schöne am Longtail ist, dass man nur durch das Schreiben eines Beitrages. Für das Keyword „skalierbare Longtail-Optimierungsstrategie“ werde ich vermutlich innerhalb einer Woche unter den ersten Ergebnissen bei Google sein – nur weil ich es einmal in der Überschrift und hier im Text verwendet habe. Ich werde also automatisch der Sieger bei diesem Keyword, indem ich einfach nur darüber schreibe. Die Konkurrenz im Longtail ist so gut wie nicht vorhanden. Die meisten Erstplatzierten im Longtail sind dort durch Zufall gelandet. Durch pures Glück war das Keyword in einem der Texte enthalten, den sie mit einer ganz anderen Absicht geschrieben haben. Das erklärt auch, warum man sie so leicht von ihrem Thron schubsen kann. Wenn ich jetzt einen optimierten Artikel zu diesem Thema (z.B. skalierbare Longtail-Optimierungsstrategie – ich hab’s schon wieder getan) verfasse, wird dieser natürlich von Google als relevanter zu diesem Thema eingestuft und verdrängt in der Folge die Konkurrenz. Das Ziel meiner skalierbaren Longtail-Optimierungsstrategie ist es, viele Begriffe im Longtail zu dominieren. Wenn ich mit TerminRetter.de bei 100 Begriffen mit je 30 Suchen im Monat auf Platz 1 stehe, dann kann ich von 1.500 Besuchern / Monat ausgehen. Realistisch dürfte ich dann mit 10-15 neuen Kunden pro Monat rechnen. Beispiele für solche Keywords sind: „Terminplaner für Ärzte“, „Terminplaner Arztpraxis“ oder „Terminplaner Arzt“ (16, 73 und 46 Suchen pro Monat). Der Aufwand, um ein ähnliches Ergebnis bei einem Keyword wie „Kalender“ (301.000 Suchen pro Monat) zu erreichen, liegt um ein Vielfaches höher, weil hier die Konkurrenz sehr stark ist. Außerdem wird mir kaum jemand den ersten Platz bei „Terminplaner Arzt“ streitig machen, bei „Kalender“ aber sehr wohl. Ich kann also damit rechnen, dass ich auf Jahre hinaus jeden Monat die 10-15 Besucher von diesem Keyword erhalte. Ein einziger neuer Kunde ist für mich mehrere hundert Euro wert. Das bedeutet, dass der erste gewonnene Kunde für einen meiner Artikel die Kosten für die Erstellung des Artikels 10-20 Mal reinholt. Es reicht mir also nur mit jedem zehnten Artikel einen Kunden zu gewinnen, um alle Kosten reinzuspielen. Jeder zusätzliche Kunde ist reiner Profit. Und wenn der Artikel einmal geschrieben ist, erzeugt er bis in alle Ewigkeit Traffic. Die Chancen stehen also nicht schlecht, dass fast jeder Artikel irgendwann einen Kunden gewinnt! Außerdem ist meine skalierbare Longtail-Optimierungsstrategie so ausgelegt, dass ich durch zusätzliche Investitionen (Geld, nicht Zeit!) mehr dieser Keywords für mich gewinnen kann. Wenn ich einen Weg gefunden habe, bei dem ich X Euro investiere und dann 10*X Euro verdiene, dann will ich das so oft wie möglich machen. Die Keyword-Recherche führe ich mit dem Google Keyword Tool durch. Bei der Suche ist es wichtig, dass bei den Einstellungen für „Übereinstimmungstypen“ nur „Exakt“ ausgewählt ist. Außerdem wähle ich in den Erweiterten Optionen als Standort „Deutschland“ aus, weil Deutschland mein Hauptmarkt für TerminRetter.de ist. Anschließend hämmere ich einfach einige Keywords in das Keyword Tool ein und klicke auf „Suchen“. Nach einer kurzen Wartezeit zeigt mir Google neben den Daten für meine Eingaben auch hunderte Vorschläge an. Ich gehe anschließend diese Liste durch und markiere alle Vorschläge, die ich für brauchbar halte, um dieses Keyword in einem Artikel zu verwenden. Dabei achte ich darauf, dass die Anzahl der monatlichen lokalen Suchanfragen kleiner als 100 ist und das Keyword thematisch zu meiner Zielgruppe passt. Mit dieser Methode habe ich bereits mehr als 150 brauchbare Keywords für meine SEO-Strategie gefunden! Im nächsten Schritt lade ich die Vorschläge als CSV-Datei für Excel herunter und öffne sie mit Excel. Anschließend übertrage ich die Keywords und die Anzahl der monatlichen Suchanfragen in eine andere Excel-Datei, die mir hilft den Prozess für jedes einzelne Keyword zu überwachen. Diese Excel-Datei ist eine Art Checkliste, so dass ich keinen der Schritte für das jeweilige Keyword vergesse. Den Link zur Excel-Datei findet ihr am Ende dieses Blogposts. Beim Übertragen der Daten achte ich darauf, dass ich keinen Eintrag doppelt in der Liste habe. Ich könnte an dieser Stelle auch eine Marktanalyse durchführen und versuchen meine Konkurrenz um das jeweilige Keyword abzuschätzen. Für den Moment halte ich das aber noch für unnötig. Ich habe das bei 10-15 Keywords gemacht und hatte bei keinem das Gefühl, das die Konkurrenz sonderlich lebhaft wäre. Seitdem nehme ich einfach jedes Keyword. Der dritte Schritt ist dann die Erstellung des Artikels. Den Text kann man selbst schreiben oder über eine Plattform wie TextBroker.de vergeben. Ich empfehle die ersten paar Texte selbst zu schreiben, damit man bei der Ausschreibung auch weiß wovon man spricht. Die anderen Erwähnungen baue ich ganz natürlich in den Text ein. 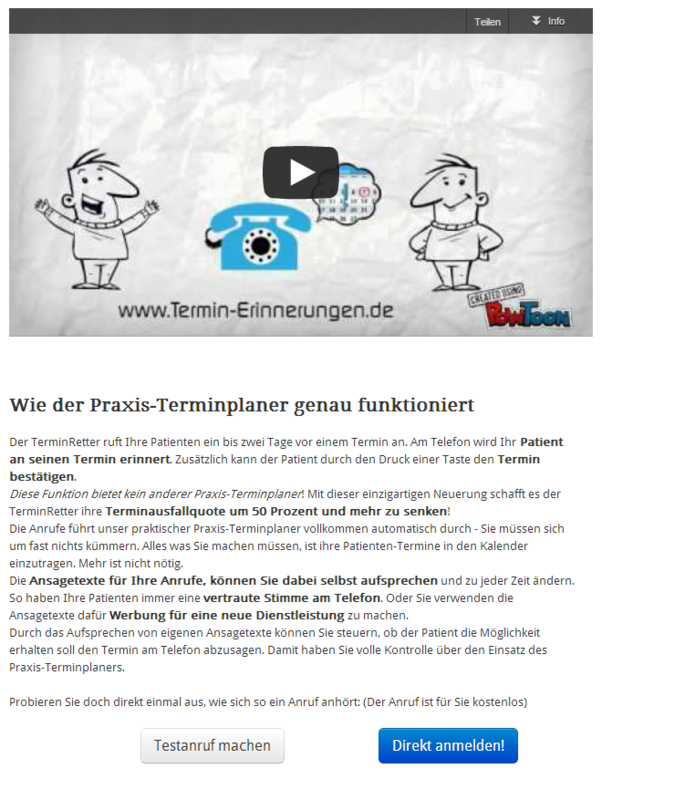 Zur Erklärung der Platzhalter: Sobald ich im Text irgendwo %CTA_BUTTON% schreibe, wird das in meine Call-To-Action-Buttons umgewandelt. Schreibe ich %VIDEO_EXPLAIN%, erscheint an der Stelle später ein Video, das TerminRetter.de in 45 Sekunden erklärt. Daneben habe ich noch ein gutes Dutzend anderer solcher Platzhalter. Das Ergebnis ist im nächsten Bild zu sehen. Nach dem Kopieren des Textes von Word in mein CMS, prüfe ich noch kurz, ob die Formatierung überall passt. Außerdem muss ich bei Texten, die von jemand anderem erstellt wurden, noch den Call-To-Action einfügen. Danach kann der Artikel aber veröffentlicht werden. Ganz wichtig ist bei jedem Prozess eine ständige Kontrolle. 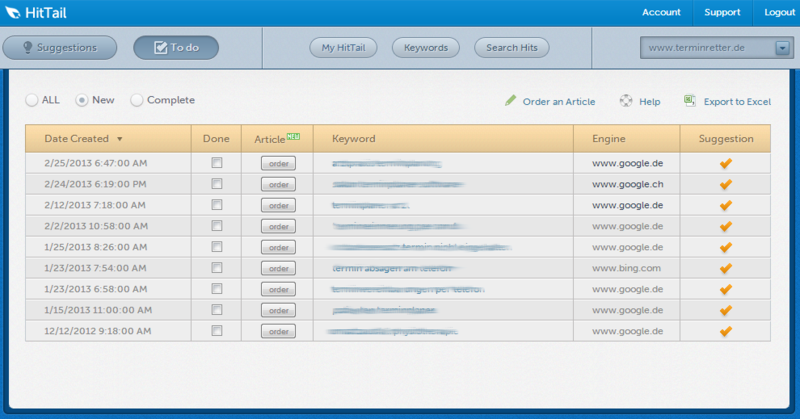 Deswegen trage ich jedes Keyword abschließend zum Rank-Tracking bei Seolytics.de ein. Außerdem habe ich in Google Analytics ein Custom Segment für meine Longtail-Optimierungsstrategie, wo ich das Keyword ebenfalls eintrage. So habe ich sowohl das Ranking meiner Inhalte als auch den generierten Traffic und die Konversionen immer fest im Blick. Die von mir verfolgte Strategie ist hervorragend dazu geeignet dauerhaft guten Traffic für die eigene Seite zu erzeugen. Die beiden größten Vorteile sind das Fehlen von Konkurrenz im Longtail und die gute Skalierbarkeit bei Auslagerung der Texterstellung. Durch beides erhält man letztlich eine Strategie, die quasi auf Jahre konstante Besucherströme garantiert. Alles klar geworden? Wenn noch Fragen offen sind, dann freue ich mich darauf sie in den Kommentaren zu beantworten.